Is coltach gu bheil seo gu sònraichte fìor nuair a thathas a-mach air dealbhadh corpas mion-chànain. Is dòcha, mar thoradh air brisgead chànanan fo chunnart, gu bheil labhraichean mhion-chànanan gu h-àraidh cùramach mu na cànanan aca, a’ faicinn dealbh-corpais mar bhagairt. Bha e iongantach fhaicinn, mar eisimpleir, cho tro chèile ’s a bha cuid nuair a thàinig e am follais gun robh Bòrd na Gàidhlig a’ beachdachadh air acadamaidh chànain a stèidheachadh airson na Gàidhlig. Bha cuid gu math feargach agus iad nan seasamh gun daingeann an aghaidh a’ mholaidh, ach tha e doirbh a thomhas le cinnte dè tha na gearanan seo a’ ciallachadh, dè cho riochdail ’s a tha na guthan làidir seo air beachd na mòr-chuid. Is cumanta gun dean daoine, anns an h-argamaidean seo, iomradh air beachdan nan labhraichean àbhaisteach, Joe no Jane Blogs na Gàidhlig mas fhìor, ach cò na Gàidheil àbhaisteach seo, agus a bheil fios againn ann an dà-rìribh dè na beachdan a th’ aca air ceistean cànain? Tha an luchd-gearain cho ùghdarrasail, cho cinnteach gu bheil fios acasan na thoil no nach toil le muinntir na Gàidhlig a thaobh leasachadh corpais, ach ciamar? ’S e an fhìrinn a th’ ann nach do rinneadh mòran rannsachaidh idir air beachdan muinntir na Gàidhlig a thaobh fhaclan ùra no leasachadh gràmair no eile. ’S e an fhìrinn a th’ ann gu bheil na guthan làidir feargach seo tric a’ bruidhinn gun bhunait. Chan eil fios acasan de tha Jane Blogs na Gàidhlig da-rìribh ag iarraidh, agus chan eil fios againne nas motha. Mar sin, b’ e ceum mòr cudromach a bh’ ann, an-uiridh, gun do rinn an t-Àrd Ollamh Roibeart Ó Maolalaigh, agus a sgioba, rannsachadh domhainn farsaing air beachdan muinntir na Gàidhlig air a’ mholadh mun acadamaidh Ghàidhlig, agus air leasachadh corpais anns an fharsaingeachd. Bha cothrom agam an aithisg aca, Dlùth is Inneach, a leughadh o chionn greis, agus abair gur e obair ionmholta a th’ ann, rannsachadh sòisealta a ghluaiseas an deasbad air adhart agus a chuireas ceist na h-acadamaidh air bonn fiosraichte, fosgailte agus deamocratach. Nis, feumaidh mi aideachadh gun do ghabh mi fhìn pàirt anns an rannsachadh seo, agus gun do bhruidhinn mi ann am buidheann ris an rannsaiche anns an sgioba, Susan Ross, nuair a thàinig i dhan Cholaiste, ach chan ann a-mhàin le acaidèamaich a rinn iad co-chomhairle, no faisg. Bhruidhinn iad ri slis fharsaing de mhuinntir na Gàidhlig: fileantaich, luchd-ionnsachaidh aig gach ìre, luchd-poileasaidh, tidsearan, bàird agus ùghdairean, deugairean agus seann daoine, cuid air a’ Ghalltachd agus cuid eile air a’ Ghaidhealtachd, cuid anns a’ bhaile mhòr agus cuid eile air an dùthaich. Bhruidhinn iad ri 184 daoine uile gu lèir, agus mar sin, tha an aithisg aca a’ riochdachadh bheachdan muinntir na Gàidhlig air ceist an leasachaidh chorpais fada nas fheàrr na rannsachadh sam bith a rinneadh roimhe. […] corpus planning efforts often fail when linguists and language planners make decisions based on their own perceptions of problems and priorities rather than in cooperation with the speech community. By making the data from the consultation the basis of policy recommendations, it has provided speakers and users with real participation in decisions about their language. […] It treats them as active stakeholders, with knowledge and expertise to contribute, rather than as targets of policy. B’ e dòigh-obrach gu math seasmhach a bh’ ann, agus an seo, chan eil mi a’ dol as àicheadh nan toraidhean aig an sgioba rannsachaidh idir, ach tha mi ag iarraidh bruidhinn air fear dhe na seasamhan làidir a lorg iad am measg poball na Gàidhlig agus air a’ mholadh a rinn iad, stèidhichte air an t-seasamh sin. Anns an rannsachadh aca, lorg iad nach eil mòran ùidh aig a’ phoball ann an leasachadh briathrachais theicnigich speisealta anns a’ Ghàidhlig, agus mar sin, mhol na rannsaichean nach bu chòir dhuinn prìomhachas a thoirt do leasachadh briathrachais shaidheansail no theicneòlaich anns an iomairt chorpais ri teachd. Neo an tidsear a leanas, a-mach air uibhir de dh’fhaclan a dh’fheumas clann a togail ann am bitheòlas, seach cuspairean eile, agus mar a nì briathrachas saidheansail Gàidhlig an obair sin nas casta dhan chloinn. Tuigidh sibh, mar chuideigin a rinn ceum ann am bitheòlas, a dh’obraich mar rannsaiche mhion-bhitheòlais aig aon àm, agus a sgrìobhas ficsean saidheans anns a’ Ghàidhlig, gu bheil na beachdan seo gu math duilich leam. Tha mi a’ tuigsinn nach eil mi àbhaisteach anns an t-seagh seo. Tha an neach gu h-àrd ceart. Chan eil sinn uile a’ dèanamh PhD ann am bitheòlas, no mòran ùidh againn ann an cuspairean teicnigeach no saidheansail is dòcha, ach fhathast, chan eil briathrachas saidheansail teicnigeach ga chleachdadh le oileanaich PhD bitheòlais a-mhàin. Gu dearbh, tha briathrachas teicnigeach air fàs cho cumanta ann an cainnt làitheil ’s nach eil sinn mothachail air mar as tric, agus tha e a’ sìor fhàs nas cumanta gach latha. Tha mi a’ smaoineachadh gu bheil na beachdan gu h-àrd bonntaichte air mì-thuigse mu ròl briathrachais theignigich ann an cànan an latha an-diugh agus b’ ann air a’ mhì-thuigse sin a bu toil leam cnuasachadh an-dràsta. A-rithist, chan eil mi idir a’ dol as àicheadh nan rannsaichean agus gu bheil na beachdan seo cumanta am measg muinntir na Gàidhlig, ach tha mi a’ creidsinn gu bheil leasachadh corpas teicnigeach na Gàidhlig garbh cudromach do neart a’ chànain, agus nì mi argamaid sìos as a leth. Anns a’ chnuasachadh aice air rèimean-cainnte àrda ann am mion-chànanan fo chunnart, thug Suzanne Romaine iomradh air deagh luaidh aig Richard Benton a tha a’ riochdachadh a’ bharail seo gu math: “Let English remain the language for Geekdom”. (Benton, 1999: 117; air iomradh ann an Romaine 2006, 457) Ach ’s e mì-thuigse a tha seo. ’S e an trioblaid a th’ ann nach eil crìoch dhaingeann eadar saoghal nan geeks agus saoghal càich. Tha sinn beò ann an saoghal a tha sìor fhàs nas teicneòlaich agus tha briathrachas ceangailte ri saidheans agus teicneòlas a’ sruthadh a-steach dhan chainnt làitheil againn gun sguir a-nis. Gu dearbh, tha mòran dhe na faclan teicneòlach seo air fàs cho bitheanta ’s nach eil sinn mothachail tuilleadh gun tàinig iad à ceàrnaidh geek-mhòr an toiseach. ’S e deagh eisimpleir dheth, am facal ann an tiotal a’ phuist seo, ’neon’ no ’nìon’, i.e., àireamh 10 air a’ chlàr de dh’eileamaidean, an gas uasail a tha air a shamhlachadh, Ne. ’S e ‘neon’ a chaidh a mholadh dha na sgoiltean mar a’ Ghàidhlig air an eileamaid seo, tha mi a’ gabhail ris, air sàilleabh gu bheilear an dòchas gum biodh am facal ’neon’ soilleir ann an clas saidheans no ceimigeachd, agus furasta cuimhneachadh, air sailleadh ’s gu bheil e co-ionnan ann an cruth ris an fhacal Bheurla. Ach ’s e an trioblaid a th’ ann, gu bheil an ro-innleachd seo a’ cur a’ chuideim as treasa air a’ chànan sgrìobhte, seach air a’ chànan labhairte, calg-dhìreach an aghaidh na bhite an dòchas le mion-chànan a tha a’ dol à cleachdadh gu luath. Chan eil ‘neon’ anns a’ Ghàidhlig idir co-ionnan le fuaimneachadh an fhacail ‘neon’ anns a’ Bheurla. Le neon anns a’ Ghàidhlig, thathas an dùil ri facal a tha air fhuaimneachadh nas coltaich ri ‘neoni’ no ‘neo-’, seach neon le [i] anns a’ Bheurla. Chanainn fhìn gun riochdaicheadh ’nìon’ fuaim an fhacail seo nas b’ fheàrr, ach cha deach sin a thaghadh. Chanadh cuid, dè an diofar? Dè cho tric a bhios clann a’ dèanamh ceimigeachd anns a’ Ghàidhlig taobh a-muigh na sgoileadh? Ma tha am facal furasda a thuigsinn anns a’ chruth a tha coltach ris a’ Bheurla sgrìobhte, bidh e nas fhasa dhaibh ionnsachadh dha na deuchainnean aca, a bhiodh, thathas an dùil, sgrìobhte. Cha leig iad leas dà fhacal ionnsachadh air an aon eileamaid. Dè cho tric ’s a chleachdas iad ainmean nan eileamaidean taobh a-muigh na sgoileadh co-dhiù? Uil, da-rìribh, nuair a smaoinicheas tu air, garbh tric. Tha nìon na h-eileamaid a chleachdar ann an solasan cumanta, agus mar sin, nì sinn iomradh air solasan nìon tric gu leòr, agus an uair sin, le sìneadh-cèille, tha dathan air an sònrachadh mar ‘nìon’ anns a’ chànan làitheil a-nis: pionc nìon, gorm nìon, buidhe nìon. Tha nìon air tighinn a-steach dhan chànan làitheil chun na h-ìre gu bheil 22 diofar cheann a-nis fon bhriathar anns an Oxford English Dictionary. Thèid na briathran seo a chantainn a cheart cho tric ’s a thèid an sgrìobhadh, ach nuair thig am pròsas mun cuairt, agus nuair a sgrìobhas sinn na bhios sinn ag ràdh, cha fhreagair an litreachadh air na fuaimean againn. Tha siostam-litreachaidh trid-soilleir na Gàidhlig air a bhriseadh air an fhacal seo mar thoradh. Chan e ach aon eisimpleir a tha seo, agus dh’fhaodadh tu iomadh argamaid a dhèanamh a thaobh cruth an fhacail, nìon, bho dhiofar sheallaidhean. Chan eil mi ann an da-rìribh fo iomagain ro mhòr mu dheidhinn, ach thug mi iomradh air ceist cruth an fhacail nìon air sàilleabh ’s gu bheil i a’ taisbeanadh fìrinn dhuinn: nach eil sgaradh ri lorg eadar cànan teicnigeach agus cànan làitheil anns an latha an-diugh. Ma dh’fhaoidte gu bheil ‘neon’ cheart; bhiodh e inntinneach a dheasbad, ach ge be dè litreachadh a thèid a thaghadh, chan urrainn dhuinn a ràdh nach eil e gu diofar. Tha briathrachas ùr teicnigeach riatanach do chànan sam bith anns an latha a th’ ann, agus ’s fhiach a dhealbhadh gu cùramach gus an obraich na faclan gu ceart gan labhairt anns an cainnt làitheil cho math ri gan leughadh ann an leabhraichean-teacsa sgoileadh. […] I still think that there is a distinction to be made between technical and specialized communication between scientists at the international level and the communication of scientific knowledge to students and the general public. The production of scientific knowledge cannot and should not be restricted to a few languages, let alone just one, i.e. English, if the true human potential for creativity is to be expressed. Gus seo a dhèanamh ann an dòigh chiallaich, tha ro-innleachd choitcheann agus dealbhadh a dhìth. Tha mi a’ gabhail ris gu bheil e reusanta gun lean sinn an cleachdadh eadar-nàiseanta, agus gun cleachd sinn na freumhan Laidinn/Greugais dhan mhòr-chuid dhen bhriathrachas shaidheansail anns a’ Ghàidhlig. Bidh briathran ann far a bheil freumhan Gàidhlig gu sònraichte bòidheach no trìd-soilleir agus iomchaidh, m.e., is fìor thoil leam ‘iom-tharraing’ air ‘gravity’, agus tha ‘an t-eadar-lìon’ agus ‘làrach-lìn’ gu soilleir a’ freagairt air na bun-bheachdan teicneòlach aca glè mhath, ach dhan a’ mhòr-chuid, is cinnteach gur e freumhan Laidinn agus Greugais (tron Bheurla no tron Fhraingis mar as tric) an rathad as fhèarr air adhart. Ach gus an obraich na briathran Laidinn/Greugais gu ceart anns a’ Ghàidhlig, feumar siostam coitcheann a chur air bhonn gus tar-litreachadh a dhèanamh, agus gun siostam litreachaidh agus fuaimneachaidh na Gàidhlig a lùbadh a-mach à triom an cois a’ ghnìomha. Bhiodh e na b’ fheàrr nan rachadh fuaimean nam faclan atharrachadh beagan gus am freagradh iad na b’ fheàrr air pàtranan fuaimneachaidh gnàthasach na Gàidhlig, seach siostam litreachaidh na Gàidhlig a bhriseadh air na lidean cèin. Tha am facal ‘eileamaid’ na dheagh eisimpleir dheth. Dh’fhaodadh tu feuchainn ri ‘ealaimeant’ a chleachdadh, is dòcha, ach tha eileamaid fada nas grinne anns a’ chànan. Bidh am pròsas seo a’ tachairt ‘gu nàdarra’ rè na linntean agus gu dearbh, thàinig an t-uabhas de fhaclan Laidinn a-steach dhan Ghàidhlig tràth na h-eachdraidh, agus iad cho diofraichte a-nis ’s nach tèid an aithneachadh mar fhaclan ‘cèin’ tuilleadh, ach anns an latha an-diugh, feumaidh sinn an aon phròsas seo a dhèanamh gu fèin-mhothachail, agus tha sinn a’ ciallachadh dealbhadh agus co-òrdanachadh. Cuideachd, tha e cudromach gun tèid na briathran saidheansail aontachadh dha na leabhraichean sgoileadh aig a’ chuid as òige. A-rithist, chanadh cuid, dè an diofar ciamar a thèid nìon a litreachadh ann an leabhraichean cloinneadh anns a’ bhunsgoil, ach bhiodh e gòrach da-rìribh, nam biodh aig cloinn ri aon bhriathar ionnsachadh anns a’ bhunsgoil, briathar eile anns an àrdsgoil anns a’ chlas shaidheans, agus briathar eile gus èisteachd ris na naidheachdan air Radio nan Gàidheal. A-rithist, tha seo a’ ciallachadh dealbhadh le eòlaichean agus co-òrdanachadh eadar iomadh roinn ann an saoghal na Gàidhlig. Tha e soilleir a-nis, is dòcha, gu bheil mi fhìn am meas na cuid a chreideas gum b’ e rud riatanach buannachail a bhiodh ann an acadamaidh Ghàidhlig, ma thathas an dòchas gun leasaich briathrachas na Gàidhlig còmhla ris an t-saoghal ùr theicneòlach anns a’ bheil sinn beò a-nis. Ach an gabh daoine ris na faclan ùra ma thèid an cruthachadh? Chan eil teagamh ann gu bheil ùghdaran na h-aithisg, Dlùth is Inneach, ceart, gu bheil luchd na Gàidhlig reusanta neo-phobic. Chan eil e gu diofar dè tha na neardan coltach riumsa a’ smaoineachadh a bu chòir dhuinn dèanamh a thaobh briathran teicneòlach mura gabh muinntir na Gàidhlig riutha aig a’ cheann thall. Ach cha chreid mi gu bheil an dùbhlan cho mòr sin. Tha e uile mu dheidhinn co-theacsa agus ùghdarras. Ma thèid na faclan ùra a chleachdadh ann an co-theacsa a nì an ciall soilleir agus le labhraichean aig a bheil ùghdarras ann an saoghal na Gàidhlig, gabhaidh na Gàidheil riutha. Is cinnteach gu bheil bodaich agus cailleachan ann nach bean do choimpiùtar uair sam bith nan saoghal, ach a chleachdas ‘eadar-lìon’ agus ‘post-d’ gun dragh air sàilleabh ’s gun cuala iad air an cleachdadh le Coinneach MacÌomhair air a’ phrògram rèideo aige. Agus ’s ann anns an t-seagh seo, a thaobh co-theacsa, a tha mi làidir dhen bheachd gu bheil ròl aig ficsean-saidheans ann an àbhaisteachadh a’ bhriathrachais ùir seo. 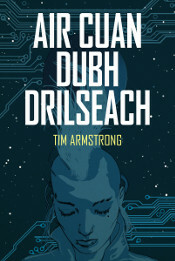 Tha deagh leabhar agam air an sgeilp: Brave New Words, le Jeff Prucher a sheallas mar a thàinig mòran dha na faclan saidheansail no teicneòlach as cudromaich anns an latha an-diugh a-steach dhan chànan tron fhicsean-saidheans, agus da-rìribh, gun tèid an cruthachadh ann an ficsean-saidheans an toiseach. 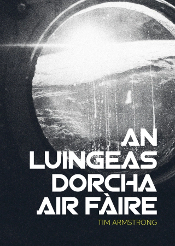 Robotics, cyberspace, spaceship – chaidh na faclan cumanta seo uile a chruthachadh agus a sgaoileadh le ficsean-saidheans an toiseach. 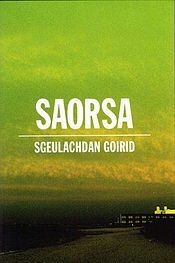 (Prucher 2007) Tha mi an dòchas, ma thèid siostam coitcheann a chur air dòigh gus briathrachas grinn ciallach a chruthachadh do shaidheans agus do theicneòlas, gun gabh sgrìobhadairean ficsean-saidheans riutha agus gun gabh ficsean-saidheans pàirt cudromach ann an toirt nam faclan seo an aithne do leughadairean agus nan sgoileadh agus nan àbhaisteachadh mar thoradh. Nam fhiosrachadh fhèin, tha leughadairean Gàidhlig uabhasach fosgailte do nuadhachd. Ma thèid faclan ùra a chleachdadh ann an co-theacsa ceart, a nì na faclan ùra soilleir don leughadair, gabhaidh an leughadair riutha gun dragh. Tha sinn feumach air an roinn seo de bhriathrachas agus is mòr am beud ma thèid sinn leis a’ bharail nach eil cainnt theicnigeach cudromach no nàdarra anns a’ Ghàidhlig. Tha an àm ri teachd de dhath nìon agus le beagan dealbhaidh agus co-òrdanachaidh, coinnichidh a’ Ghàidhlig ris loma làn nam faclan iomchaidh. Dè ur beachd? Bell, Susan, McConville, Mark, McLeod, Wilson agus Ó Maolalaigh, Roibeard (2014) Dlùth is Inneach – Final Project Report: Linguistic and Institutional Foundations for Gaelic Corpus Planning. Inbhir Nis: Bòrd na Gàidhlig. Lippi-Green, Rosina (1997) English with an Accent: Language, ideology and discrimination in the United States. London: Routledge. Prucher, Jeff, ed. (2007) Brave new words: the Oxford dictionary of science fiction. Oxford University Press. Romaine, Suzanne. (2006) “Planning for the survival of linguistic diversity.” Language Policy 5(4), 443–475. Chaidh seo a phostadh ann an corpas ficsean-saidheans, Ficsean-saidheans. Dèan comharra-lìn dhen bhuan-cheangal. Nach eil ’neon lights’ ri faighinn àite ’s am bith ’s na h-eileanan? Mar sin tha e ’na chaint làitheil, uill cumanta. Biodh ’néon’ nas fhèarr air mo shon-sa. Fuaim beagan nas eadar-nàiseanta?? Neon a th’ ann a rèir liosta de bhriathrachas Saidheans aig SMO. Tha mi duilich, rinn mi postadh gun crìochnachadh an t-alt (bha cabhag orm). Ciamar a bhiodh ’neon’ ([njon]?) na fhacal Ghàidhlig, SMO ás no ann? Ceud taing Marconatrix agus Steaphan! Dhomhsa dheth, cha robh mi a-riamh sàsaichte leis mar a thèid faclan saidheansail Laidinn/Greugais-via-Beurla a thionndadh chun na Gàidhlig. Bhiodh e sgoinneil, nam bheachdsa, nan dèanadh an acadamaidh ri teachd rannsachadh air a’ cheist seo, agus gun rachadh siostam a chruthachadh, a’ tarraing air na seann phàtranan tionndaidh ’nàdarra’ a thachair roimhe anns a’ Ghàidhlig, bho Laidinn gu Gàidhlig, agus cuideachd a’ feuchainn gun a bhith a’ briseadh an t-siostam litreachaidh shoilleir a th’ aig a’ Ghàidhlig an-dràsta. Tha a’ Ghàidhlig doirbh gu leor ann an seaghan eile, nach eil e na bhuannachd gu bheil an siostam-litreachaidh cho loidigeach. Mòr am beud nan rachadh a bhriseadh air a’ chàirn de dh’fhachlan teicnigeach a dh’fheumas tighinn a-steach dhan chànan ma bhios i uidheamaichte dhan t-saoghal nuadh. Tha thu ceart Tim, gun teagamh. Tha luchd-saidheans aig na cànanan mòra a tha ag obair le rudan mar gas nìon, agus mar sin, thèid am facal ùr a chleachdadh gu nàdarra leothasan nan cànan màthaireil. A bheil duine aig a bheil Gàidhlig ag obair ann an obair-lann? Gun teagamh, tha. A bheil e a’ dèanamh a chuid obrach tro mheadhan na Gàidhlig? Gun teagamh, chan eil. Facal Grèigeach a th’ ann an nìon. Fraingis: néon; Iapanais: ネオン(ne-on) msaa. Nam b’e “nìon” a bh’ air sa Ghàidhlig, dh’fheumte fhuaimneachadh mar “sìon” ach le ’n’ seach ’s’. Dè riochd nàdarra a th’air a’ chiad lide de “neon” sa Ghàidhlig? Nach e “nèon” a bhiodh ann? Chan eil riaghailt ga briseadh an sin. Steaphan, taing! Dhea, bhite ag iarraidh eòlaiche fuaimneachaidh na b’ fheàrr na mis’ agus chan urrainn dhomh a ràdh le cinnte dè bhiodh na b’ fhreagraich: nìon no nèon. Is dòcha gu bheil e rud beag a rèir dual-chainnt cuideachd. Ma dh’fhaoidte gun dèan mi fuaimreag shònraichte Ameirigeanach an sin aig an toiseach, bu dòcha, ach nuair a chanas mi e, is e nìon le [i:] làidir fada ann agus dà lide shoilleir. Chan eil fhios agam.